Edward Samuel Rogers was born to Albert and Mary Rogers on June 21, 1900. That first day of summer for the new century brought a healthy new son into a prominent family who can trace its roots in Canada back to the Loyalist Quaker pioneer Timothy Rogers who founded the town of Newmarket, Ontario out of uninhabited forest in April 1801. Samuel Rogers, a great-grandson of Timothy and the grandfather of Edward, was one of the first in the family to reside in Toronto. He was an astute businessman in the fuel industry who created a company which eventually became the Toronto arm of Imperial Oil -- and also co-founded the Hospital for Sick Children on College Street along the way. Edward, or "Ted"' as he was popularly known by friends and family, was introduced to the new science of wireless telegraph communication during science class at University of Toronto Schools in 1911. Ted was quick to build his own telegraph set and teach himself Morse code. He was one of the youngest members to join the Wireless Association of Toronto, and the first newspaper article about him appeared in the July 22, 1913 edition of The Toronto Telegram entitled "TORONTO BOYS" WIRELESS CAUGHT STORY OF WRECK IN IRELAND". This featured a photograph of Ted along with one of his telegraph sets in the attic of his parents' home at 49 Nanton Avenue in the Rosedale section of the city. Ted learned of the sinking of RMS Titanic and the declaration of World War 1 via his telegraph, and served as a Marconi Operator aboard Great Lakes passenger ships such as the Huronic and Noronic for three summers between 1916 and 1919. Following the lifting of radio restrictions after the first world war, Ted was one of the first to win an amateur telegraph license and was assigned call-signal "3BP". In December 1921 he became the first amateur Canadian to send a transatlantic telegraph signal – he sent a message from his station within Pickering College at Newmarket to a base in Androssan, Scotland. Newspaper accounts of the day refer to him as a 'Wireless Wizard'. 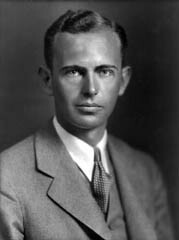 Ted fervently studied electricity as well, firm in the belief that knowing as much as he could about the power source behind radio communication could aid his understanding of the medium overall. Following his education at the School of Practical Science within the University of Toronto, Ted was employed as an engineer within the radio division of CITCO the then leading manufacturer of radio equipment in Toronto. He also worked as a technician for radio station CFCA – an operation managed by The Toronto Star newspaper and the first commercial broadcaster in the city. When CITCO filed for bankruptcy in December 1923, most would have seen this as discouraging, but Ted spied an opportunity. With his father Albert, they acquired the radio holdings of CITCO and founded the Rogers Radio Company whose first slogan was "Manufacturers of Radio Equipment". 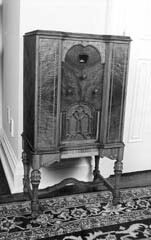 Household radio receivers had been introduced during the fall of 1920. These promised a new era of home entertainment, but came with burdens as well. Radios at this time were powered by three separate batteries which required a mass of wiring to the set, needed recharging, produced a background 'hum' when active, and leaked acid on the floor which burned rugs -- radio at this time could be seen as an "inconvenient leisure". Ted realized that the inherent problems of the batteries were hampering the development of radio as a generally accepted method of communication, and took upon himself a monumental task: to find another method to power radios, and the best would be alternating current (a/c) electricity which provided electric lighting. Ted conducted extensive experimentation, and also went on a research trip. Other engineers scoffed at his idea, and dismissed him by saying it could not be done, that batteries were the tried-and-true method and radio tubes could not withstand the rigors of another source. Not to be discouraged, Ted persevered and in August 1924 invented the world's first successful alternating current radio tube. This, the Rogers Experimental '15-S' prototype could operate from ordinary household electricity. Its special filters and filaments kept the delicate internal workings from overheating. Ted proved to the world "It CAN Be Done." The following spring, he founded the Standard Radio Manufacturing Corporation Limited with the support of his father to produce radio receivers which could utilize the Rogers A/C Tube, and a factory was established at 90 Chestnut Street in downtown Toronto. 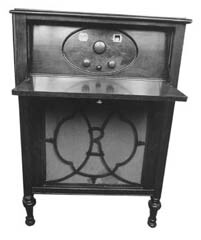 That same year the Canadian National Exhibition opened on August 29, 1925 and this was the day when the "Rogers Batteryless Radio" was introduced to the public – showcased at two booths no less. These, the first successful all-electric radios in the world, eliminated all the problems of the batteries, and gave a clearer sound reproduction of the human voice and musical instruments as well. The inaugural line was deemed as the "100 Series" and had seven models available, ranging in price from $110 to $370. An interesting fact is that homes of 1925 were not equipped with outlets as we know them today. The only reason a house had electricity was for lighting, so the power cords of the Rogers Radios were tipped with special threaded metal tabs which could be inserted into light-bulb sockets. "Just Plug In -- Then Tune In!" 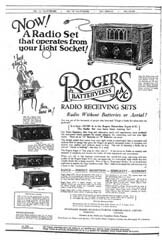 was the first slogan for the Rogers Batteryless Radio, and Ted Rogers put Canada at the forefront of radio communications technology as all-electric sets did not appear in the United States until 1926 and in Europe in 1927. 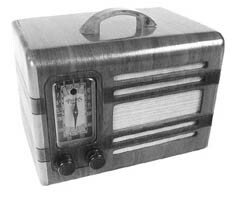 The Rogers Batteryless Radio quickly became a success and sets could soon be found in parlors across the country, but Ted desired more because stations were sending out what he considered to be poor quality broadcasts. He decided to expand further and return to what had been his introduction to the science, namely, broadcasting. He designed special transmitters which could use the Rogers A/C Tube and in February 1927, station CFRB made its debut. The station was the first in the world to use ordinary electricity for its broadcasts, and the call-letters chosen by Ted represented Canada's First Rogers Batteryless. The launch of CFRB prompted the first publicity photograph to be taken of Ted, he being dressed in a three-piece grey suit with his dark hair combed back over a high forehead and his bright blue eyes looking squarely into the camera. CFRB quickly became a leading station as its sound was much more clear than that offered by others, and it could be heard from coast to coast – actually, a person in Hawaii sent along a postcard to say one of their concerts was 'well received by us'. CFRB's first studios were in the fashionable Massey Mansion on Jarvis Street in Toronto while the transmitter could be found on The Pinnacle in Aurora, just off of Yonge Street. Residents of Whitmore Township renamed their 15th Sideroad as "CFRB Sideroad" in honour of the facility in their community and today this same stretch of highway is known as Bloomington Road. Ted Rogers had now brought great advances to both the receiving and transmitting aspects of radio communication. With his business expertise, Standard Radio and CFRB enjoyed prosperity. He negotiated a merger between his company and another from Chicago, and in 1928 the Rogers-Majestic Corporation was created. A year later, his guidance permitted CFRB to join a new radio network from New York, CBS. While these alliances strengthened the operation, the patriotic Ted Rogers went to great lengths to ensure his company remained in Canada and under Canadian ownership. The radio manufacturing division relocated to a brand new state-of-the-art factory at the intersection of Fleet and Bathurst Streets which was the largest plant for radio production in Canada and the most modern in the British Empire. Some years later, the facility expanded to lease a vacant building across the street to further increase their production abilities. CFRB moved to occupy the second floor at 37 Bloor Street West where they had the largest radio studios in the nation while boasting the highest power output at 10,000 watts and using the tallest antennas consisting of two steel towers stretching six hundred feet into the air. 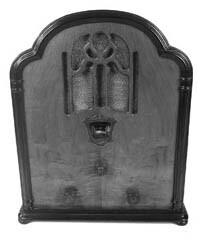 In 1932, Ted Rogers acquired one of his principal competitors, the Canadian operation of DeForest-Crosley Radios. Although the DeForest-Crosley name was kept, the sets were produced under the direction of Rogers-Majestic and using Rogers Tubes. This is also why DeForest-Crosley radios produced from 1932 onward carry a Rogers-Majestic serial number. Other electrical communication breakthroughs came at the hands of the enterprising inventor Ted Rogers. He created the Spray-Shield Tube which eliminated the need for protective tube cans, and in 1930 won the first license to experiment with television in Canada then conducted the first public demonstration of television in Toronto in 1933. Ever a forward thinker, in 1934 he predicted in a newspaper interview the ordinary household use of television long before the device was even perfected. Ted Rogers expanded his broadcasting interests in 1932 when he co-founded radio station CKOK in Windsor, which still operates today as CKLW. 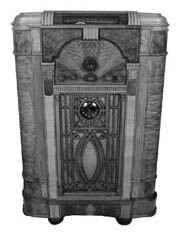 Rogers Radios were recognized as being the best in terms of their stylish walnut cabinets, the variety of models and sizes which could suit the décor of any household, and most importantly their ease of use and quality of tone, sound, and reception. Demand for Rogers Radios was exceptionally high during the 'Golden Age of Radio', making it the case where the company found itself over 2,500 orders behind in November 1933…a fact made even more impressive when one realizes this is in the height of the Great Depression. CFRB was also renowned for its trailblazing. The station was the first to have a remote microphone installed in the editorial offices of a newspaper (The Globe) to bring up-to-the-minute news broadcasts to its audience and the first to offer regular sports coverage in Toronto. The CFRB studios were the launchpad for the careers of several peformers, including orchestra leader Percy Faith. Ted Rogers was one who dedicated himself tirelessly and devoted his keen mind to advancing communications science and solving issues which had perplexed others, labouring long hours both at his office and in the radio laboratory. In May 1939, the unexpected occurred when complications from an ulcer brought upon by overwork led to his untimely passing at only 38 years of age. Being a devoted family man, he left an estate valued at $380,000 to his widow, Velma, and his son. Rogers-Majestic and CFRB were later parted with by Velma Rogers in an effort to provide a sound financial base for the uncertain times which lay ahead. Although Rogers-Majestic was managed as a brand by Phillips Electronics Canada until 1964, and CFRB was operated by a succession of broadcasting firms, his legacy remained. Ted Rogers Sr. has been honoured in many ways by several institutions including schools, museums, professional associations and government bodies. Of these, two provide excellent examples of recognition, that being the creation of a special commemorative Rogers postage stamp and having the location of the first Rogers Radio factory being made a Provincial Historic Site. Edward S. 'Ted' Rogers Sr. was certainly a shining star within the spectrum of the communications heritage of Canada. The light was dimmed with his passing, but the flame was not extinguished and the torch was passed to his heir and namesake, Edward S. 'Ted' Rogers Jr. Velma Rogers raised Ted Jr. full in the knowledge of the tremendous work of his father, and of the impact he made on electric communication. This inspiration prompted Ted Jr. to pursue a career in telecommunications. Beginning with his acquisition of CHFI-FM in 1960, Mr. Rogers' own efforts have resulted in Rogers Communications Inc., a national corporation operating companies in broadcasting, cable television, cellular telephones, internet services, publishing, and sports which is known for technological innovation and its devotion to providing the best in entertainment, information and communication to Canadians. Rogers Broadcasting television station CFMT has its offices and studios at 545 Lakeshore Boulevard West – the same building which was across the street from the Rogers-Majestic factory at Fleet and Bathurst and which was used as Rogers Radio Plant #2 from 1938 until 1946. 545 Lakeshore is the last remaining structure which was a Rogers Radio factory, and the location has served both father and son in their business pursuits. Edward S. Rogers Sr. had commitment to excellence. He combined the broadcasting skills of Marconi with the electrical abilities of Edison to bring about a remarkable feat which greatly advanced the science of radio communication. The Rogers A/C Tube, the Rogers Batteryless Radio and CFRB are monumental achievements which stand as a testament to his devotion to the ideal that "It CAN be done", and done well, and done for the benefit of all. Canada may well take pride in the inventor, pioneer, and entrepreneur Edward S. Rogers Sr. and his world-class accomplishments which revolutionized communications. The effects of his work can still be felt to this day and in fact, every time you plug in a radio and listen to a clear program it is a tribute to Mr. Rogers (and when those outside our borders do so, it is a nod to Canadian ingenuity). 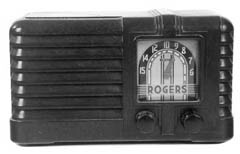 When you happen to come upon an antique Rogers Radio, see a tube marked with the name "Rogers", or tune in to CFRB, remember how a Toronto youngster had has imagination sparked by the telegraph and was able to create a spectacular device which ushered the world of radio into a fantastic new era. If you would like to talk more about this article you can reach Ian Anthony, Rogers Historian at (416) 935-6439.